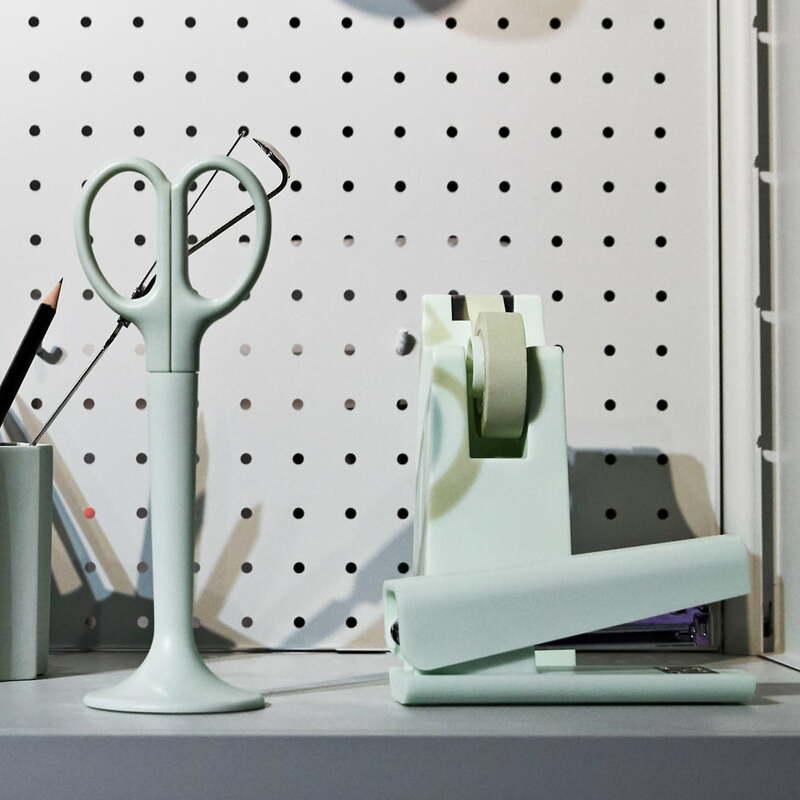 Together with the matching Anything scissors by Hay, a functional work space can be set up where all of the most important tools are at hand for work, arts and crafts or games with kids. 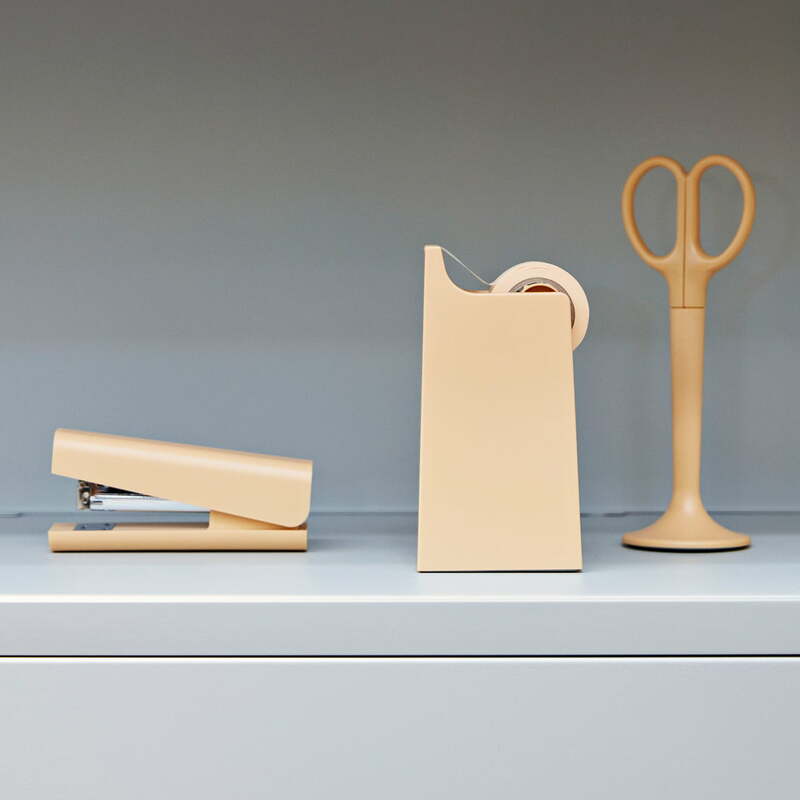 The Hay brand tape dispenser gives every desk that certain something - a simple office accessory that proves once again that HAY has more than earned its reputation as a contemporary design expert. 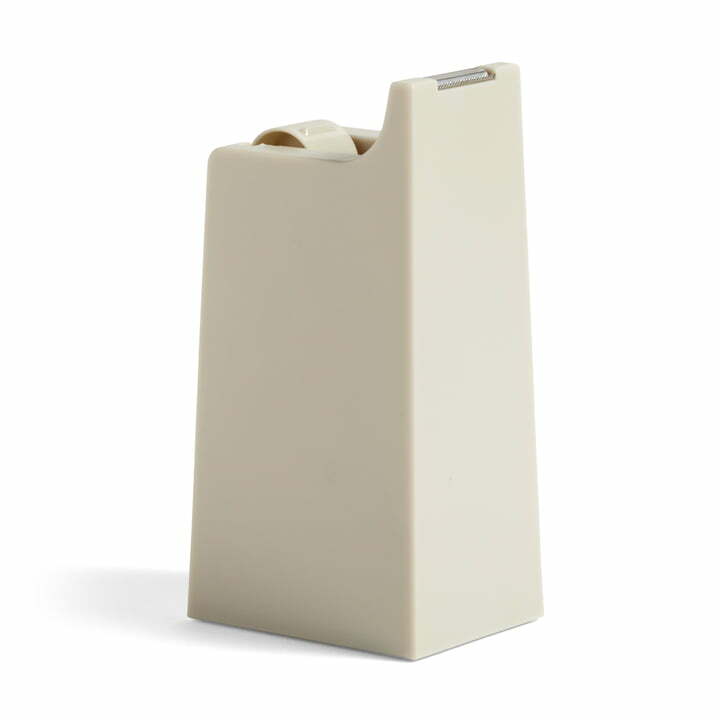 Isolated product image of the Anything tape dispenser in light grey. Thanks to the highly placed blades, the tape can easily be torn off with one hand, simplifying the gift packaging process for example. 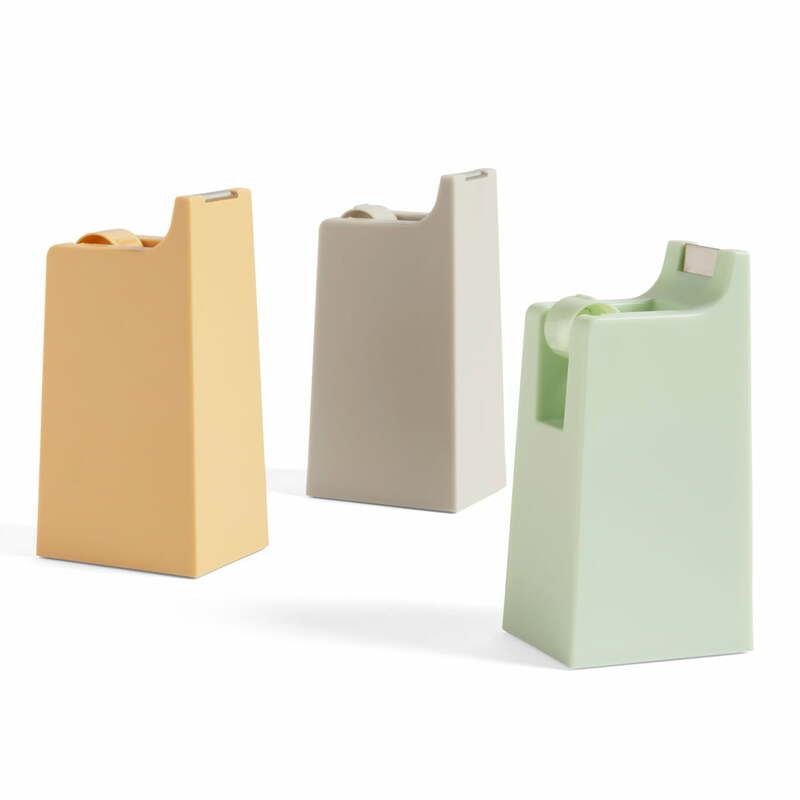 Isolated product image of the Hay - Anything dispenser in light grey, mint and warm yellow. 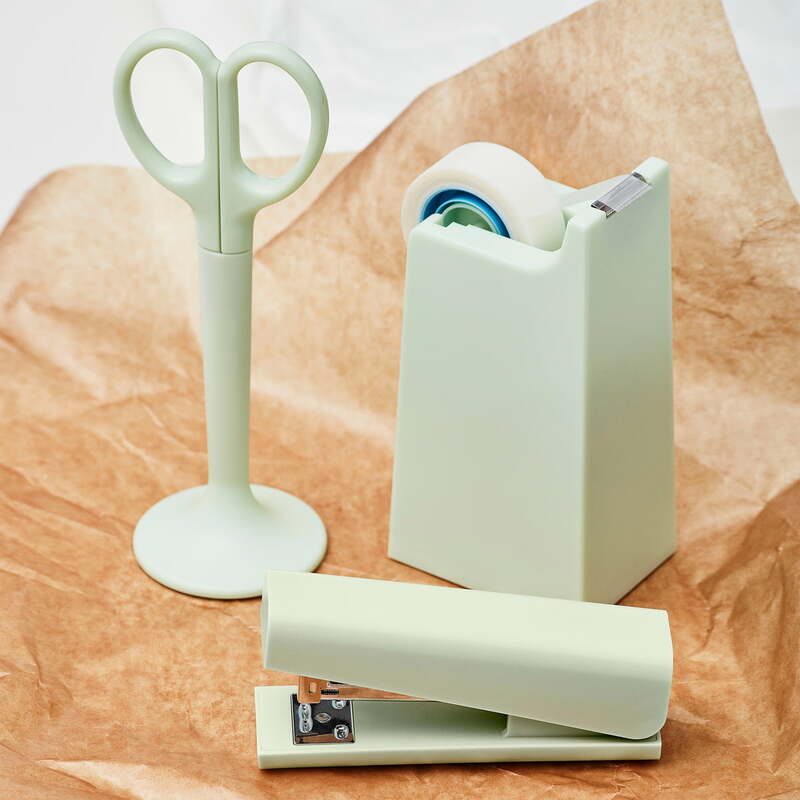 The Anything tape dispenser by Hay is a design by Michael Sodeau. 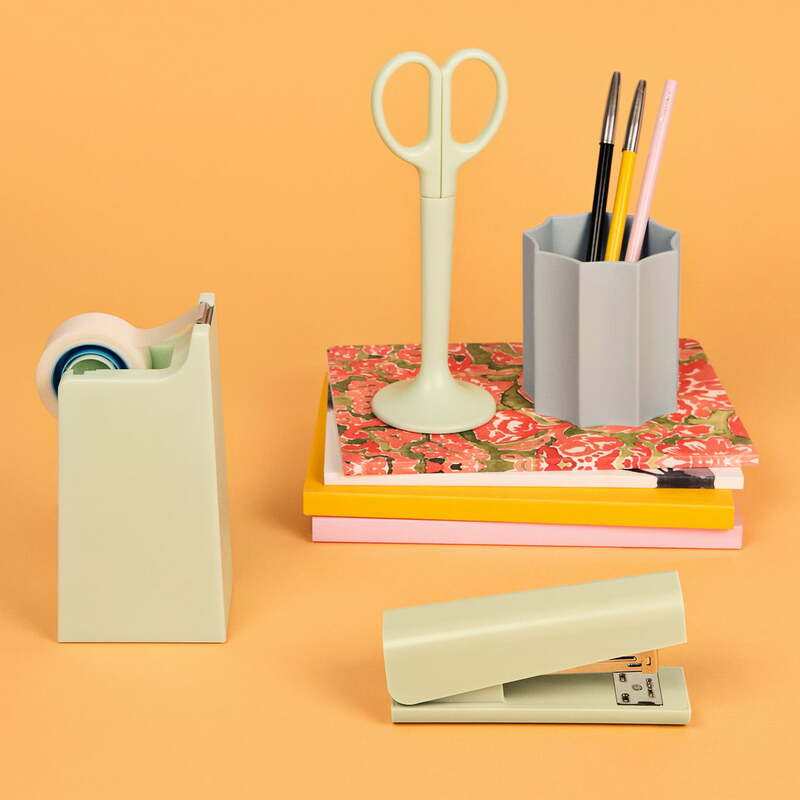 Available in various soft colours, the sculptural design is a discreet highlight on any desk while also being very practical.